Watch out for the ones with much befrizzed or towzled hair! 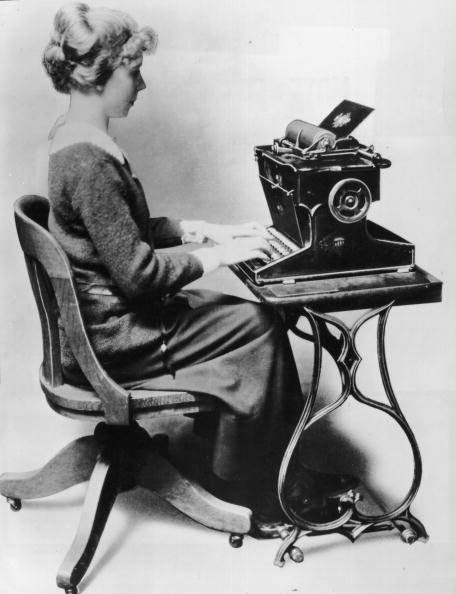 A typist in 1905. Is that an ear lobe or an ear-ring? The typewriter, a Remington 1, is the same model as that held by ScienceWorks in Melbourne, Australia. 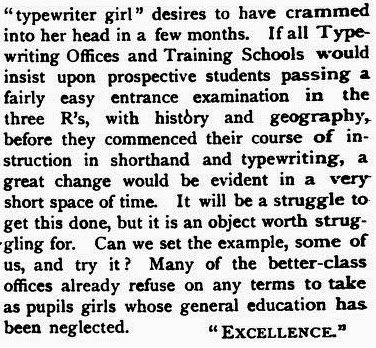 A "typewriter girl" in 1910. Take your eyes off the frilly knickers and concentrate on the befrizzed hair and the lack of ears. 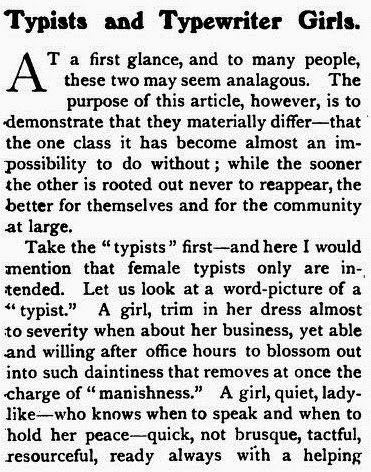 Same could be said about many in todays work force that compare to typewriter girl. Looks like hipsters were just as bothersome back then as they are now. At least they had a game plan for dealing with them! This indeed hasn't changed much. Especially in the secretarial jobs. There are the 'copy-girls getting promoted because they look nice' and there are the 'professional secretaries who actually know what they are doing'. Really annoying!